Check out this post by a *different* Steve Hayes in response to the guest post by Stephen Hayes that I’ve just recently put up! And revel in the dance of responsive, relational internet-writing. I’ve just been reading a blog post by a namesake of mine, which set me thinking about how the order in which one reads things could affect the way in which one interprets them. H. P. Lovecraft, C. S. Lewis, and Me. Here is a guest post by Stephen Hayes, a regular reader of this blog. It is a highly personal, spiritually-autobiographical story about his individual experience. If any of you readers would like to offer a post on Lovecraft and Williams, I’d be interested to hear a pitch. CONTRIBUTOR BIO: Stephen Hayes was born in London’s East End in 1955 and studied medicine at Southampton 1974-1979. He worked for some 20 years as a Primary Care Physician and is now an Associate Dermatologist and skin cancer diagnostics educator. He blogs about skin cancer and less often about C S Lewis. He is a long-term fan of C S Lewis, and his first (Amazon kindle) novel Darwin’s Adders: A Chronicle of Pagan England 2089‘ was written after the thought came to him one July 2009 morning: ‘What if, in That Hideous Strength, the bad guys had won, and 150 years later, an angel came to the mentally handicapped great, great, great grandson of Mark and Jane Studdock and pronounced him The Pendragon?’ He is intermittently working on 3 other novels: Hecate’s Daughters (a sequel to Darwin’s Adders), Fire on the Dordogne a romance set in the French wars of religion, and another novel about an old man telling fishing stories to his grandson as he is dying from melanoma. Stephen and his wife Julia live in Botley and have 2 adult daughters: Emily is a food scientist with a love for travel, Sarah is autistic and epileptic and deeply loves Jesus. They manage a heritage apple orchard in Old Hampshire, Old England. Stephen’s kindle e-book Tales From an English Orchard tells that orchard’s story. Amongst his many ambitions, the greatest is to hear the words, ‘Well done, thou good and faithful servant.’ spoken to him by The Friend of Sinners. This personal reflection mainly concerns the effect on me of deep and prolonged exposure to two influential 20th century writers, Howard Price Lovecraft and Clive Staples (Jack) Lewis. They had much in common: each man created a unique and compelling mythos, but their philosophies of life and therefore the moral and intellectual natures of the universes they created were diametrically opposed. I am not the best-read 62-year-old in England, my choice of a medical career saw to that, (my favourite subjects at school were English and French, before the desire to become a doctor took hold) but at major turning points in my life I was heavily engaged with the visions of each of these two men. These are some personal thoughts on their very different speculative fiction outputs. NB: I tend to bundle Lewis and Tolkien together to some extent, I hope that will be excused. Who reads H P Lovecraft? Well, I did for one. Back in the late sixties and early seventies, I liked anything weird. I thought my parents were boring and I was trying to find out who I was, and, in the words of the Steppenwolf song ‘Looking for adventure, whatever comes my way.’ There was the usual incalculable interplay between genetics, environment and what some call chance and others Providence. How much of how I turned out was down to my free will, if any, I can’t say. Raised as a Roman Catholic, I was into Zen and ‘free thinking’ although never an atheist. I got into Jimi Hendrix from the age of 11, receiving taunts from Monkees fans in the school playground. I didn’t fit in, but was brainy, so I read and read, living in a world of my imagination which I fed with every fantasy, adventure, sci-fi and horror book I could find. Henry Rider Haggard was a favourite, especially his Zululand romances with their exotic differentness and an element of the supernatural. 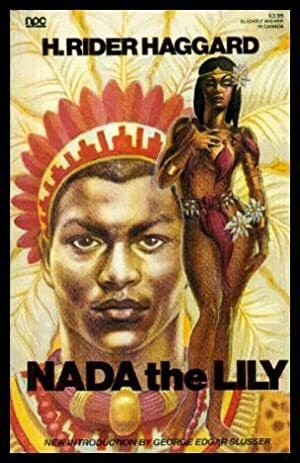 Nada the Lily remains a favourite, showcasing the Rider Haggard hero Umslopogaas who appears in several other tales. He was a misunderstood outcast with an enchanted axe, very like my other hero Jimi. I couldn’t get enough. Having discovered and devoured The Hobbit, I remember the day I first found a copy of The Fellowship of The Ring in the library. I speed read it in an afternoon and literally ran a mile to get back to the library before closing time to order The Two Towers and The Return of The King. The fact that most of my friends thought LOTR ‘tedious and absurd’ to quote JRRT’s foreword, just encouraged me about how cool I was, being into stuff that most folks weren’t into. By 16 I was content to be an outsider, especially as I now had a few friends who were also bored by football and mainstream pop music. Exotic, avant-garde, rebellious, even morbid and dangerous tastes were something to seek out and celebrate. And then one day a friend, let’s call him Roy, introduced me to H P Lovecraft. Roy was a long-haired outsider who was into eastern religions and later came out as homosexual. I hadn’t known that when we shared a tent while walking Hadrian’s Wall. Another friend was also heavily into Lovecraft. He was an outspoken atheist and communist. I became addicted instantly. Like my beloved Tolkien, and to a lesser extent Mervyn Peake (The Gormenghast Trilogy) Lovecraft had created an imaginary world which was strange and different. Unlike Tolkien, whose ‘sword and sorcerer’ adventures were in far off Lothlorien, The Misty Mountains, Rohan and Atlantis, Lovecraft’s world was rooted in our own time and space–Antarctica, New Zealand, the fictional New England towns of Arkham and Innsmouth, the swamps of Louisiana. But just round the corner from those sleepy towns and ordinary offices and universities, lay dark, hidden manuscripts and nameless horrors. Furthermore, these were horrors against which there was no defence, no God or hero to deliver you from the attentions of the mad gods of space, Nyarlathotep the crawling chaos, the evil rat Brown Jenkin, the noxious Yog-Sothoth who froths in primal slime, or countless other malign entities. A grim universe indeed, of which I will offer a handful of examples. In ‘The Dream Quest of Unknown Kadath’ (3), a man with a dull job and longings for something more wonderful, went on a quest for a beautiful city, travelling through enchanted dreams rather as the Pevensie children went through a wardrobe to Narnia and John sought ‘The Island’ in The Pilgrim’s Regress. Yes, there was an evil witch in Narnia, but the place was inherently good, and if there was a witch there was also Aslan. The bizarre journey to Kadath was haunted by ogres, nameless shadows, insanity, illusion, the indifferent ‘old gods’ of earth, and the cruel, potent gods of space, but no comfort, meaning, security or hope. 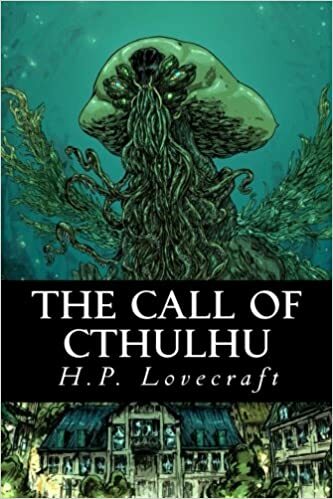 ‘The Call of Cthulhu’ concerns a giant entity of great power and malice who evolved in far-off regions of unknown space, travelled to Earth, and with his terrible minions waits in a suspended state under the sea until it is time to arise and destroy or enslave humanity. Cthulhu’s call is perceived by some, men go mad, creating models of a being which is a cross between a man, a squid and a dragon. Cthulhu cultists sacrifice human victims, whose bodies are described as being ‘curiously subtracted from’. Eventually, volcanic activity and underwater earthquake off the coast of New Zealand reveals the monstrous, ‘Dead Cthulhu who lies dreaming in his house at R’lyeh’. In many of Lovecraft’s horrific visions, such as ‘The Shadow out of Time’, there is nothing that humans can do but await their fate at the hands (claws, tentacles…) of various extra-terrestrial horrors, and it may be better to do so in blissful ignorance since there is nothing they can do to save themselves. I remember seeing a poster at Leytonstone underground station advertising the film of Lovecraft’s ‘The Dunwich Horror’. The blurb read ‘A few years ago in Dunwich, a half-witted girl gave birth to illegitimate twins. One of them was almost human.’ I never got to see the film, but read the book when I could. There was talk of ‘that upstairs’ and ‘clearing off the Earth’, oh and tentacles. The arcane book The Necronomicon is an overarching ‘Elder Scrolls’ style background document referenced in many Lovecraft stories. I was wryly amused by this quote in which Lovecraft’s narrator expresses regret that he had ever looked into ‘that monstrous book’. I can identify with that. Lovecraft’s stark materialism is significant. His monsters might seem supernatural, but aren’t. They were ‘natural’ beings who happened to have evolved immortality and powers such as the ability to change shape and possess human minds. This is really awful when you let it sink in. If there is a ‘traditional’ devil, well that’s bad, but then by the same token there is a God who can save you from him. But what if beings that acted like devils and could drag you down to some kind of hell, whether you deserved it or not, existed in a materialistic an amoral universe, and had no benevolent and righteous divine counterpart? I obtained as full a collection of Lovecraft books as possible, and read and re-read them. I welcomed the Gugs and Ghasts, Nyarlathotep, Yog-Sothoth, the ghouls that haunted the Pyramids, the Colours out of Space, Mad Abdul Alhazred and all the rest into my eager imagination, where they took up residence and did their thing. One night, walking home around 2 am from my girlfriend’s house, I experienced a sensation that I have never had before or since, that some malevolent entity was looking down on me from behind. I felt terrified and started running. When I got home, 3 anxious miles away, the house was empty, as my family had gone on a trip I hadn’t wanted to join them on (I told you I was a loner), and I did something I had almost never done before. I knelt by the side of my bed and prayed fervently to God asking for deliverance and safety. I have a clear memory of two things happening next. First, I felt there were several bat-like things flying around my head, and next I felt a voice saying ‘Go downstairs and into the garden and burn those books, now.’ I really didn’t want to do that. Not only had I spent much money on them, but promised to loan them to a friend. If I burned the books, I would look very silly. It is an indication of how disturbed I felt that 10 minutes later there was a fire on an upturned dustbin lid, which I fed until the last page was consumed. I felt somewhat better, prayed some more, and was able to sleep. A couple of days later at school I sheepishly told Roy an edited version of what had happened. He laughed, and said Nyarlathotep was a great idea but I shouldn’t take him so seriously. But soon after he lent me a copy of ‘Perelandra-A Voyage to Venus’ by C S Lewis which he said he thought might help. He was right; it did. Reading Perelandra restored an equilibrium in the world of my imagination, rather like a detox or hangover cure. Lewis’s universe, like Lovecraft’s, contained terrible dangers and monsters, but there was a Remedy available on application, however wretched and weak you were. As Lewis put it, there was such a thing as the Normal or Straight, a Power that cared about me, a Goodness that would have the last word. Evil was real, but it would be defeated. Beauty and ugliness, good and evil, truth and lies, sanity and madness were not equally matched ‘yin and yang’ complementary opposites, but goodness, truth, beauty and sanity were RIGHT and they would triumph over the WRONG of ugliness, lies, evil and madness in the end. The universe was not meaningless. Life was not a sick joke. We might be victims, but not helpless as we had a Helper. In simple terms, H P Lovecraft messed my head up, C S Lewis put it right again. The memory of that is very clear despite the intervening years. One can almost see Lewis as a literal (and literary) antidote to Lovecraft’s poisoned cosmos. Lovecraft’s cold and creepy mythos, like fellow atheist A E Housman’s suicide poems, deserves some respect for facing the real implications of materialism-a godless, pitiless universe that came from nothing via chaos minus purpose, and will end in nothing. And, therefore, so what? Thank God there is a better vision available, and thank Jack for articulating it so well. As you probably, Brenton Dickieson has generously opened up his popular blog A Pilgrim in Narnia for guest editor David Llewellyn Dodds to curate a series of guest posts inspired by or responding to The Inklings and King Arthur. Here is a handy list of those posts, with little summaries. I’ll update this as more are added. Please join the lively conversations going on over there in the comments! As a noted scholar of Charles Williams and particularly the textual editor of an edition of CW’s Arthurian poetry, David Dodds is ideally situated to curate this excellent series on The Inklings and King Arthur. In response to my editorial work in that collection, Dodds has done something similar here, gathering and presenting “a dozen posts from leading and emerging scholars from the fields of medieval and renaissance literature, Arthurian studies, and Inklings studies–as well as poets, writers, artists, and students.” Indeed, this series on A Pilgrim in Narnia makes a lovely companion-piece to the book itself, offering 12 short, lively, accessible blog posts to compliment the 20 rigorous (but hopefully also lively and fascinating) chapters in the book. Charles Williams was not the only author of his time to write about the Holy Grail, and Suzanne Bray first puts it into its literary-historical context, then writes about more recent retellings of the Grail story: Bernard Cornwell’s Warlord Trilogy and Stephen Lawhead’s Pendragon Cycle. With insight and pathos, British writer Stephen Winter connects That Hideous Strength to contemporary issues in the U.K. and Europe, ending on a hopeful note. Do share your thoughts about the ability of mythology and fantasy to serve as political prophecy! Oxford graduate (and newly-hired faculty member at Signum University, I might add!) Gabriel Schenk offers a blog post that began as a talk given at the Oxford C.S. Lewis Society. He begins with an overview of the various negative connotations the Arthurian legends acquired over the years, which turn off some potential readers. The young C. S. Lewis was among these, disgusted as he was by cheap tourist traps boasting Arthurian connections and disappointed by “Tennyson’s moralistic agenda.” Then Gabriel provides a survey of Lewis’s Arthuriana. This post would serve as a perfect introduction to Brenton Dickieson’s and Charles Huttar’s chapters in The Inklings and King Arthur, as they dig into Lewis’s Arthurian intertextuality in great detail, and to Benjamin Shogren’s chapter on gender and Arthurian names in That Hideous Strength. I knew when I edited I & A that I would miss some important works contemporary to and in conversation with those by the Inklings. I had never heard of this one before, and it sounds wild and wonderful! Dale surveys Martyn Skinner’s three-part poem, The Return of Arthur: A Poem of the Future, which includes Merlin giving Arthur a tour of hell, where demons use electronic devices, Arthur fights a “collectivist Newtopian” state post-World War Three, a drug-induced seduction scene, and several Grail-inspired conversions. It sounds like a lively trip, and I hope you get a chance to read both the blog post and the poem it introduces. This English Professor at The King’s College in New York City teaches a brilliant course: “Tolkien’s Medieval English Sources.” This delightful post briefly covers some of these sources, from Old English poetry to Sir Gawain and the Green Knight, a favorite of Tolkien’s. Then Ethan digs into why JRRT was so drawn to the tale of Gawain’s tests, and finally zooms in on one particular word: “wodwos.” If you want to know what these are, read his post! There’s a lovely paragraph about Narnia, too, with a swift-and-subtle but persuasive defense of Lewis’s gallimaufry slipped in, and a Shakespearean comparison for good measure. This is the Most Fun Post! It’s Emily’s delightful story of how she found out about the cover contest, had a really brief period of time (while watching the eclipse!) to come up with an idea and submit it, and then won the contest! She also discusses possible inspirations and influences on her work, which is a great insight into the complex workings of an artist’s mind. In his second post for this series, Dale introduces “The Everyman’s Library,” a series of cheap, readily-avialable editions of classics that the Inklings grew up on. These affordable books fed and shaped Lewis’ and Tolkien’s taste. Lewis went on, for a time, to collect expensive editions, which he had rebound to match each other, and always retained a love of paper, type, and covers. But it was these inexpensive editions that allowed bookish teenagers early in the 20th century to encounter such great works as the Arthurian texts. Charles’s chapter in The Inklings and King Arthur is one of the most meticulously researched, covering a vast swathe of Inklings’ poetry to trace occurrences of “the idea of Avalon.” Here, he begins by a brief nod to debates about the historicity of Arthur, then moves into the Inklings’ perspective on mythological history. They wrote, as it were, into the gaps in history, filling those blank spaces with stories of their own. Lewis does this in That Hideous Strength and many other works; Williams does it in his own peculiar way in Descent Into Hell and The Chapel of the Thorn, Huttar shows. Obviously, Tolkien’s whole legendarium is written into the gaps of (pre-)history. This post is magnificent on its own or as an introduction to Yannick Imbert’s chapter in the book, which takes another perspective on the Inklings’ mythological view of history. What we have here is a lovely distillation of Cameron’s chapter about Chesterton’s Arthurian poems. Like the Inklings, who were in some ways his heirs, Chesterton had a view of the mythic significance of history–and the historical significance of mythology–that infused his Arthurian poems. He saw England itself as a kind of elfland or fairyland, suffused with spiritual meaning. Read this post first, then Cameron’s chapter, for a long look into GKC’s rhythmically and thematically compelling poems. Fights over film adaptations of beloved books can get fierce and nasty. In this post, Josiah both presents some of Lewis’s views on movie adaptations and compares Thor: Ragnarok to the “northerness” that Lewis loved. The Norse myths were dear to his heart, and they were what drew him to his first friend, Arthur Greeves, and also to Tolkien. Here, Josiah speculates what CSL might have thought of the recent Marvel movie. Author of the recent, brilliant, award-winning biography Charles Williams: The Third Inkling gives insights into Charles Williams’s Arthurian Commonplace Book, the earliest of his many lifelong attempts to capture the essence of the Matter of Britain. Williams considered various approaches to his retelling of the myth, and he included church history, occult magic, Celtic mysteries, and many other rich veins of thought. Lindop and John Matthews are working on an edition of all of CW’s Arthurian poems, due out very soon! In his third post in the series, Dale turns to elves! Elves and fairies, to be precise. Tolkien and Lewis were disgusted by the degradation of the noble, lofty, terrifying faerie-folk of Medieval romance down to the Puckish miniscules of Michael Drayton. However, Inkling’s contemporary Martyn Skinner wrote a poem called Sir Elfadore and Mabyna, whose fairies are much better. Dale speculates whether Lewis or Tolkien might have read this poem (JRRT: almost certainly not; Lewis: possibly). His analysis includes this great summing-up: “according to Tolkien, the matter of Faërie is a high thing, worthy to be the object of poetic genius and disciplined craftsmanship; but artistic liberty extends to works that include verbal play and the charm of the fanciful.” Numinous elves, silly elves, fatal faeries, flirty fairies; there’s room for all of them in the tradition of English literature. Finally, blog owner and primary author Brenton Dickieson gives a popularized version of his brilliant chapter on Lewis’s intertextuality. As with Cameron Moore’s, I recommend reading this post first, then Brenton’s detailed and ground-breaking chapter in The Inklings and King Arthur. And then keep the conversation going! At the close of this series, something is even more obvious than it was when The Inklings and King Arthur was published–although I spoke about it even then: We need more books on this subject. We probably need a whole volume on the Inklings and their Arthurian sources. We certainly need one on the Inklings and their Arthurian contemporaries–David Jones, T. S. Eliot, T. H. White, Martyn Skinner, and so many others. We need one on all the other Arthurian themes in the Inklings’ works that we weren’t able to cover in our (already enormous) book. So what do you think? Want to edit one of those? And meanwhile…. Which of these posts did you like the most? What other topics can you suggested for possible follow-up volumes to The Inklings and King Arthur? Do you have ideas of your own to add? Here is a luscious little post (over on Pilgrim in Narnia) by artist Emily Austin about the process of creating the winning cover design for The Inklings and King Arthur. Do read it; I think you will love it! As guest editor I can freely say, one of the many delights of this blog is Brenton’s brilliance in finding and selecting examples of book covers of works under discussion, post after post. But today we have the exceptional delight of reading the inside story of how a contemporary artist and designer, Emily Austin, went to work and became the maker of the cover of The Inklings & King Arthur. However discerning your enjoyment of it is already, I warrant it will be deepened and increased, as mine was, by reading this. I had about 36 hours to come up with a cover proposal for The Inklings and King Arthur. Will King Arthur ever return to England? He already has. In the midst of war-torn Britain, King Arthur returned in the writings of the Oxford Inklings. Learn how J. R. R. Tolkien, C. S. Lewis, Charles Williams, and Owen Barfield brought hope to their times and our own in their Arthurian literature. Although studies of the “Oxford Inklings” abound, astonishingly enough, none has yet examined their great body of Arthurian work. Yet each of these major writers tackled serious and relevant questions about government, gender, violence, imperialism, secularism, and spirituality through their stories of the Quest for the Holy Grail. This rigorous and sophisticated volume of studies does so for the first time. It is edited by Sørina Higgins, with a chapter by Brenton Dickieson (Signum faculty member) and one by alumna Alyssa House-Thomas, contributions from such Inklings luminaries as Malcolm Guite and Holly Ordway, and endorsements by Michael Ward, Owen A. Barfield, Tom Shippey, Verlyn Flieger, Carol and Philip Zaleski, Michael Drout, Janet Brennan Croft, John Rateliff, and our own Corey Olsen. The cover design is by Signum student Emily Austin. Listen in to hear the editor and contributors talk about this exciting new book! Sørina Higgins is the Chair of the Department of Language and Literature at Signum University and a Ph.D. candidate, Teacher of Record, and Presidential Scholar at Baylor University. At Signum, she serves as Thesis Coordinator, Host of Signum Symposia, and Preceptor for courses on the Inklings. Her interests include British Modernism, the works of the Inklings, Arthuriana, and magic. She holds an M.A. from Middlebury College’s Bread Loaf School of English, where she wrote about Sehnsucht in the works of C. S. Lewis. She blogs about British poet Charles Williams at The Oddest Inkling. In addition to editing The Inklings and King Arthur(Apocryphile, 2018), Sørina wrote the introduction to a new edition of Charles Williams’s Taliessin through Logres(Apocryphile, 2016) and published an edition of The Chapel of the Thorn by Charles Williams (Apocryphile, 2014). As a creative writer, Sørina has published two books of poetry, The Significance of Swans (2007) and Caduceus (2012), and would be working on a novel or two if she weren’t, you know, in grad school. Brenton Dickieson is Adjunct Professor in Theology at Maritime Christian College, Sessional Professor at the Centre for the Study of Christianity and Culture at the University of Prince Edward Island, and Instructor in Spiritual Theology at Regent College in Vancouver, BC. He also does freelance speaking and writing and is the author of the popular Faith and Fiction blog www.aPilgrimInNarnia.com. After completing a Masters degree in New Testament Studies at Regent College, Brenton moved with his wife Kerry and his son Nicolas to their native home in Charlottetown, PEI. His academic interests include how the creation of fictional universes helps in spiritual formation, theological exploration, and cultural criticism. He is now working on a PhD at the University of Chester, focusing his work on C.S. Lewis, J.R.R. Tolkien, and the Inklings. Brenton’s A Pilgrim In Narnia blog is doing a 12-part series on Inklings and Arthur, running mid-January through March. Brenton Dickieson is running a series of blog posts, edited by David Llwellyn Dodds, over on Pilgrim in Narnia. Please have a look! It was as an ‘Arthurian’ that I first consciously encountered Charles Williams, with that adjective applying to both him and me. (I, ever since I was given Emma Gelders Sterne and Barbara Lindsay’s retelling, King Arthur and the Knights of the Round Table, as a little fellow, however hair-raising were Gustaf Tenggren’s depictions of Lancelot’s sword splitting Meliagrance’s helmeted head in half and the giant Taulurd’s severed arm in mid-air as Sir Tor hewed it off.) It was only later that I realized I had already happily encountered him, enriching Dorothy Sayers’ notes in her translation of Dante’s Comedy. Friends and colleagues have been asking for the Table of Contents on social media; here it is. And then below that, I have all the blurbs from the wonderful, kind, famous, and brilliant people who pre-read the book and wrote up endorsements. Enjoy — and please help spread the word! There are lots of important chapters in here, and I want them to get a very wide readership indeed. Cheers. Introduction—Present and Past: The Inklings and King Arthur. 1. The Matter of Logres: Arthuriana and the Inklings. 2. Medieval Arthurian Sources for the Inklings: An Overview. A Study of Intertextuality in C. S. Lewis’ Ransom Cycle. 4. Houses of Healing: The Idea of Avalon in Inklings Fiction and Poetry. Inklings Arthuriana in Historical Context. 7. “All Men Live by Tales”: Chesterton’s Arthurian Poems. 8. The Elegiac Fantasy of Past Christendom in J. R. R. Tolkien’s The Fall of Arthur. 9. Spiritual Quest in a Scientific Age. Reading The Fall of Arthur as a Post-World War I Text. Narnia, The Waste Land, and the World Wars. Charles Williams’ Arthuriad and the Rhetoric of Empire. 13. “Fair as Fay-woman and Fell-minded”: Tolkien’s Guinever. Arthurian Figures as Lewisian Genders in That Hideous Strength. 16. “Servant of All”: Arthurian Peregrinations in George MacDonald. 17. Camelot Incarnate: Arthurian Vision in the Early Plays of Charles Williams. The Significance of the Holy Grail in Charles Williams’ War in Heaven. 19. The Acts of Unity: The Eucharistic Theology of Charles Williams’ Arthurian Poetry. The Inklings, Arthur, and Prophetic Insight. My thanks go out to Sørina Higgins, for her driving force which has pulled together this impressive collection of essays. These shine a light on a fascinating aspect of the Inklings’ work. I’m struck by the appreciation of Britishness that weaves through the selection. The list of contributors reads as a Who’s Who in the field of Inkling Studies. This valuable work would be a fine addition to the shelves of scholars and thinkers everywhere. These richly varied essays are a welcome introduction to the Arthurian writings of the Inklings, the group of Oxford intellectuals who included J. R. R. Tolkien, C. S. Lewis, and Charles Williams. Each essay explores an aspect of the Arthurian legend as it was re-imagined in the first half of the twentieth century, shaped by two world wars and far-reaching social change. Engaging with key themes of Arthurian reception, from medieval origins to mythic geographies, Christian modernism, gender, and imperialism, this vibrant new collection is the first comprehensive overview of Arthur in the world of the Inklings. This serious and substantial volume addresses a complex subject that scholars have for too long overlooked. The contributors show how, in the legends of King Arthur, the Inklings found material not only for escape and consolation, but also, and more importantly, for exploring moral and spiritual questions of pressing contemporary concern. During the earlier twentieth century, the period of the two World Wars, “King Arthur” became (once again) a potent symbol of defiance, national sentiment, Christian unity, and secular failure for politicians like Churchill, historians like R.G. Collingwood, and more creative writers than can readily be remembered. Prominent among the latter were “the Inklings,” the group of friends which included Tolkien, C. S. Lewis, Owen Barfield, and Charles Williams. Sørina Higgins’ compilation of twenty essays provides a survey both of the Inklings’ contributions, which culminated in Tolkien’s The Fall of Arthur (2013), and of their wider context in life and literature; as also a number of closely-focused studies of works both familiar and little-known. Packed with information, and engagingly written, this provides a new view of the Inklings and of their intellectual and cultural world. A gathering with an acknowledged bias toward and emphasis on Charles Williams, The Inklings and King Arthur offers new insights on the difficult and demanding Arthurian poetry of this least critically studied Inkling. But it has as well an impressive array of essays on all the preeminent Inklings—Tolkien and Lewis and Williams and Barfield—that will be a significant contribution to the study of their Arthurian works in particular and of twentieth-century Arthurian literature in general. In recent years, it has become increasingly clear that the Arthurian legends and their world were of vital importance to the writing and thought of the major Inklings. Under Sørina Higgins’ enterprising editorship, this adventurous and illuminating volumes offers a wealth of insights—from theoretical, contextual, interpretative, and other viewpoints—which will move the study of Barfield, Lewis, Tolkien, Williams, and their immediate predecessors into new and exciting territory, showing that the Inklings’ concern with the ‘Matter of Britain’ was motivated not by nostalgia but by urgent concern for the present and future. Sørina Higgins has performed a wonderful service in opening our eyes to the living presence of King Arthur in the scholarship, imaginative writing, and wartime religious reflection of the major Inklings. With its stellar cast of scholars and interpreters, this volume is an indispensable resource for Inklings and Arthurian studies, and indeed for all who seek to understand the modern mythopoeic imagination. The Inklings and King Arthur: Owen Barfield, C. S. Lewis, J. R. R. Tolkien, and Charles Williams on the Matter of Britain is a powerful collection of essays that fills a gaping hole in Inklings’ scholarship. While many readers have long noted the presence of Arthurian motifs and allusions in the works of the Inklings, few are aware of how extensive these connections are. Sørina Higgins has drawn together an impressive group of scholars who offer scholarly yet thoroughly readable essays covering the scope, depth, and influence of Arthuriana in writings of Barfield, Lewis, Tolkien, and Williams. This book should be on the shelf of all Inklings readers. The Inklings and King Arthur is a very significant addition to serious study of the Inklings circle of C. S. Lewis, J. R. R. Tolkien, and their friends. It distinctively focusses upon the group rather than only on Lewis, Tolkien, or other members individually, as has often been the case. The circle is represented convincingly in featuring four of the shaping members, all important writers, and their common interest in King Arthur and the Matter of Britain as a living and breathing tradition. This theme is demonstrated to be an important key for unlocking the heartbeat of the informal group, and dispels the persistent myth that the Inklings were not part of, nor relevant to, the concerns of modernist writers after World War I. This deeply researched, sharply up-to-date, and well-unified collection of essays provides a wealth of discoveries for the reader and opens many doors for further Inklings’ study. Taken as a whole, the essays in this collection lead to the surprising but inescapable conclusion that it is in their Arthurian works that the Inklings’ thoughts and writings are most intertwined, not only with each other, but with the wider currents of the twentieth century. This book is essential reading, not only for scholars of fantasy literature, but for all those interested in understanding how traditions and writers shape each other. Just when serious students of C.S. Lewis’s writing think there is nothing new to be said about his work—at least nothing original and significant—Sørina Higgins has edited The Inklings and King Arthur. In short, this is an important book. Every contributor’s essay is fascinating. I intend to recommend it to my students. The historical, legendary, and literary King Arthur lay at the heart of much of what the Inklings wrote—sometimes explicitly, sometimes concealed as deeply as the Isle of Avalon itself, and always filtered through the unique interests and interpretations of the authors as individuals, as Higgins’ introductory essay demonstrates. This ground-breaking collection presents new scholarship on topics as diverse as violence, historicity, gender, medievalism, ecology, mysticism, and personal biography at the nexus of Arthuriana and Inklings studies. Especially exciting is the inclusion of some of the first published criticism on Tolkien’s The Fall of Arthur and its unique re-visioning of the Matter of Britain. Those interested in the Inklings or in modern interpretations of the Arthurian mythos will find much thought-provoking material in these pages. Sørina Higgins collects twenty essayists’ discussions of twentieth-century British Arthuriana, primarily but not quite exclusively that written by the Inklings. Some essays compare thematic aspects of Charles Williams’, C. S. Lewis’, J. R. R. Tolkien’s, and Owen Barfield’s Arthurian writings; other essays give historic backgrounds, consider the Inklings’ treatments of gender, or discuss the religious significance of the Holy Grail (that is, discuss mainly Charles Williams’ treatments of the “Graal”). Some readers will think the lengthy focus on the Inklings’ Arthuriana too restrictive, but these writers’ continued-and-growing critical acceptance as exponents of types of Christian Romanticism that survived through Modernism(s), and seem to be doing better than some Modernists through Post-Modernism, means that the Victorian fragmentation of the literary culture is still the basic truth. Here are discussed some fascinating cultural shards. This book identifies a very important thread in the intellectual curiosity, creative work, and spiritual convictions of the Inklings. For students of the Arthurian tradition, it will reveal an under-appreciated chapter of the Arthur story from the early twentieth century. For Inklings enthusiasts, it will unfold a fascination they might never have known that the Inklings shared. This is such a good idea for a book that it’s surprising no one thought of it before. It’s hard to overstate the degree to which the world the Inklings grew up in was permeated by the Arthurian story. Just going by names alone, think of Tolkien’s father (Arthur Tolkien), Lewis’s best friend (Arthur Greeves), Williams’s mentor in occult studies and ritual magic (Arthur Edward Waite), and one of the Inklings himself (Barfield, who went by his middle name, but whose full name was Arthur Owen Barfield). This volume follows Arthurian leylines in geographies of myth, history, gender, and culture, uncovering Inklings lodestones and way markers throughout. A must read for students of the Inklings, particularly those interested in Charles Williams. This is a wonderfully rich and long overdue examination of a theme in the Inklings that has never had the attention it deserves–a theme that locates them firmly within the mainstream of the British imagination. These studies are theoretically sophisticated, lively and original, and will be of the greatest interest to students of English literature in general as well as Inklings enthusiasts. King Arthur has Returned — and The Inklings are Tweeting about it! Will King Arthur ever return to England? He already has. 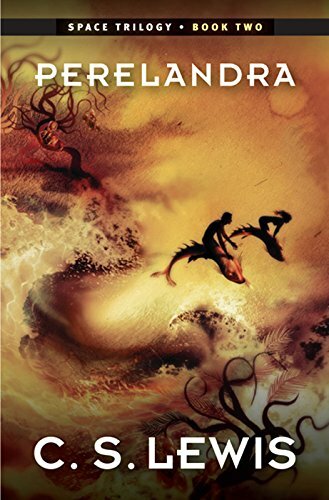 The Inklings and King Arthur is now available on Amazon! In the midst of war-torn Britain, King Arthur returned in the writings of the Oxford Inklings. Learn how J. R. R. Tolkien, C. S. Lewis, Charles Williams, and Owen Barfield brought hope to their times and our own in their Arthurian literature. Although studies of the “Oxford Inklings” abound, astonishingly enough, none has yet examined their great body of Arthurian work. Yet each of these major writers tackled serious and relevant questions about government, gender, violence, imperialism, secularism, and spirituality through their stories of the Quest for the Holy Grail. This rigorous and sophisticated volume studies does so for the first time. Four and a half years ago, a previously-unpublished work by J.R.R. Tolkien appeared: The Fall of Arthur, his only explicitly Arthurian writing. The publication of this extraordinary poem revealed subtle connections between “The Matter of Britain” and the rest of Tolkien’s legendarium, and thus invited an examination of the theological, literary, historical, and linguistic implications of the Arthurian writings of all the major Inklings: C. S. Lewis, J. R. R. Tolkien, Charles Williams, and Owen Barfield. It became immediately obvious that a scholarly study of these works was necessary. I began editing The Inklings and King Arthur, a collection of academic essays that fills the gap. It rigorously and accessibly examines the Arthurian works of Tolkien, Lewis, Williams, Barfield, their predecessors, and their contemporaries. It offers exciting, important analytical perspectives on a wide range of the Inklings’ Arthurian and related works, contributing essential material to the academic field. It brings together established, well-known scholars and emerging voices. It employs many theoretical perspectives and interacts with a wide variety of important conversations.And the Inklings themselves are going to come from the grave to celebrate. Owen A. Barfield: My thanks go out to Sørina Higgins, for her driving force which has pulled together this impressive collection of essays. These shine a light on a fascinating aspect of the Inklings’ work. I’m struck by the appreciation of Britishness that weaves through the selection. The list of contributors reads as a Who’s Who in the field of Inkling Studies. This valuable work would be a fine addition to the shelves of scholars and thinkers everywhere. Helen Fulton: These richly varied essays are a welcome introduction to the Arthurian writings of the Inklings, the group of Oxford intellectuals who included J. R. R. Tolkien, C. S. Lewis, and Charles Williams. Each essay explores an aspect of the Arthurian legend as it was re-imagined in the first half of the twentieth century, shaped by two world wars and far-reaching social change. Engaging with key themes of Arthurian reception, from medieval origins to mythic geographies, Christian modernism, gender, and imperialism, this vibrant new collection is the first comprehensive overview of Arthur in the world of the Inklings. Michael Ward: This serious and substantial volume addresses a complex subject that scholars have for too long overlooked. The contributors show how, in the legends of King Arthur, the Inklings found material not only for escape and consolation, but also, and more importantly, for exploring moral and spiritual questions of pressing contemporary concern. Tom Shippey: During the earlier twentieth century, the period of the two World Wars, “King Arthur” became (once again) a potent symbol of defiance, national sentiment, Christian unity, and secular failure for politicians like Churchill, historians like R.G. Collingwood, and more creative writers than can readily be remembered. Prominent among the latter were “the Inklings,” the group of friends which included Tolkien, C. S. Lewis, Owen Barfield, and Charles Williams. Sørina Higgins’ compilation of twenty essays provides a survey both of the Inklings’ contributions, which culminated in Tolkien’s The Fall of Arthur (2013), and of their wider context in life and literature; as also a number of closely-focused studies of works both familiar and little-known. Packed with information, and engagingly written, this provides a new view of the Inklings and of their intellectual and cultural world. Now, the Inklings have come back to life to tweet about King Arthur! As you may recall, two years ago, @Oddest_Inkling was drunk-texting on Christmas. Last year, C. S. Lewis, J. R. R. Tolkien, Charles Williams, and Owen Barfield went for an #InkWalk in the country together, tweeting as they went. Tomorrow, they are going to have a Twitter party to celebrate the publication of The Inklings and King Arthur! Please join @OddestInkling, @PilgrimInNarnia, @BarfieldDiction, & @JohnRonaldReuel or use the hashtag #InklingsAndArthur at 8pm Eastern Standard time tomorrow, Monday, January 1st, to follow the fun! They will talk about their Arthurian works, discuss what appealed to them about the Matter of Britain, quote from their own writing and others’, and maybe even answer questions about the book. Meanwhile, go order a copy! Order one for a friend! Order a dozen for anybody you forgot at Christmas! Brenton Dickieson, one of the contributors to “The Inklings and King Arthur,” is hosting a series of guest blog posts all about our book! Check it out! It is an intriguing fact of literary history that the Inklings were individually fascinated by the Arthurian legends. Christopher Tolkien’s publication of his father’s The Fall of Arthur caused a literary sensation in 2013, highlighting how deeply the Matter of Britain is in conversation with Tolkien’s legendarium. Arthurian themes run through C.S. Lewis’ fiction—including the eruption of the whole Arthurian landscape into his dystopic That Hideous Strength—and he approaches Arthurian material as a scholar. Charles Williams, who published two Arthurian books of poems and one Grail novel, left much of his work on his desk after his sudden passing in 1945. Owen Barfield’s fiction dances with Arthurian themes, and many of us encountered Arthur first through Roger Lancelyn Green’s adaptation of Morte D’Arthur. I am happy to announce that The Inklings and King Arthur is scheduled for publication on January 1st, 2018, and TexMoot has the honor of hosting the book release party! This celebration will take place between noon and 1:30, during lunch. Dr. Corey Olsen will introduce this new collection of scholarship. The editor, Sørina Higgins, and the cover artist, Emily Austin, will discuss their work. Copies will be available for purchase. Please register for TexMoot and join us to celebrate the release of this long-expected book! in 2013, a previously-unpublished work by J.R.R. Tolkien appeared: The Fall of Arthur, his only explicitly Arthurian writing. The publication of this extraordinary poem revealed subtle connections between “The Matter of Britain” and the rest of JRRT’s legendarium, and thus invited an examination of the theological, literary, historical, and linguistic implications of the Arthurian writings of all the major Inklings: C. S. Lewis, J. R. R. Tolkien, Charles Williams, and Owen Barfield. It became immediately obvious that a scholarly study of these works was necessary. The Inklings and King Arthur, edited by Sørina Higgins, fills that gap. It is an edited essay collection that examines the Arthurian works of Tolkien, Lewis, Williams, Barfield, their predecessors, and their contemporaries. It offers exciting, rigorous analytical perspectives on a wide range of the Inklings’ Arthurian and related works, contributing essential material to the academic field. Not only is a pipe a rather apt symbol for the Inklings, but smoke itself is such a dynamic and fascinating substance that I felt it would prove an excellent visual counterpart to the ever-adapting Arthurian stories. The image as a whole had the potential to evoke thoughts of legend, history, imagination, and storytelling. Stylistically, this cover reflects some elements of Tolkien’s artwork. There is also, perhaps, a nod to Aubrey Beardley’s illustrations for Le Morte d’Arthur. This collection of 20 essays thus is the result of a collaboration among scholars (from Baylor University, Signum University, many other institutions, and independent scholars), with lovely original cover art. We hope you can attend the party, hear about the book, and go hope with a few copies for yourself, your school, and your friends and family.